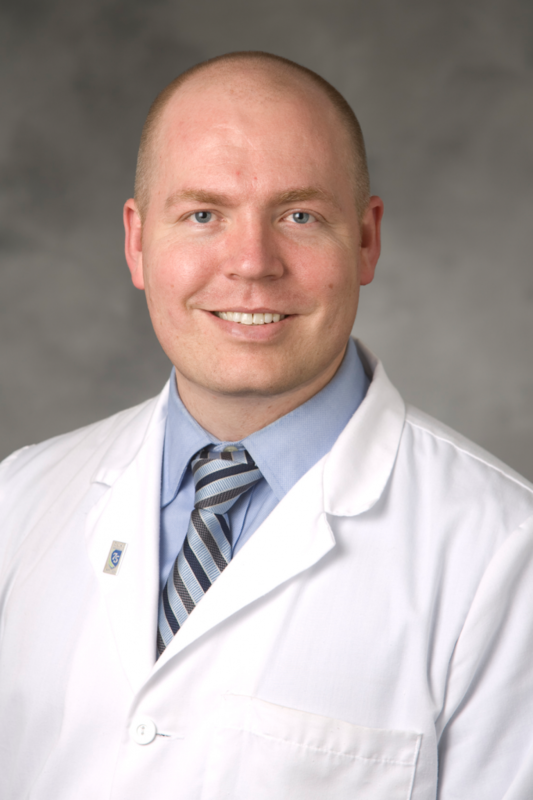 Duke Radiology»Faculty»Jared D. Christensen, M.D. Clinical Interests Minimally invasive thoracic interventions including CT-guided lung biopsy and pulmonary ablation techniques for the diagnosis and treatment of lung cancer; imaging of acquired cardiovascular disease by functional cardiac MRI and cardiac CT angiography; medical education. Research Interests Thoracic interventions; coronary CT angiography; cardiac MRI; residency education. Christensen JD, Patz EF Jr. Future trends in lung cancer diagnosis. Radiol Clin North Am. 2012 Sep;50(5):1001-8. Lungren MP, Samei E, Barnhart H, McAdams HP, Leder RA, Christensen JD, Wylie JD, Tan JW, Li X, Hurwitz LM. Gray-scale inversion radiographic display for the detection of pulmonary nodules on chest radiographs. Clin Imaging. 2012 Sep-Oct;36(5):515-21. James OG, Christensen JD, Wong TZ, Borges-Neto S, Koweek LM. Utility of FDG PET/CT in inflammatory cardiovascular disease. Radiographics. 2011 Sep-Oct;31(5):1271-86. Lungren MP, Christensen JD, Coleman RE, Gupta RT. PET appearance of tuberculous empyema necessitans. Clin Nucl Med. 2011 Oct;36(10):939-41. Christensen JD, Meyer LT, Hurwitz LM, Boll DT. Effects of iopamidol-370 versus iodixanol-320 on coronary contrast, branch depiction, and heart rate variability in dual-source coronary MDCT angiography. AJR Am J Roentgenol. 2011 Sep;197(3):W445-51. Christensen JD, Colby TV, Patz EF Jr. Correlation of [18F]-2-fluoro-deoxy-D-glucose positron emission tomography standard uptake values with the cellular composition of stage I nonsmall cell lung cancer. Cancer. 2010 Sep 1;116(17):4095-102. Zhang M, Castaneda B, Christensen J, Saad WE, Bylund K, Hoyt K, Strang JG, Rubens DJ, Parker KJ. Real-time sonoelastography of hepatic thermal lesions in a swine model. Med Phys. 2008 Sep;35(9):4132-41. Christensen JD, Dogra VS. The undescended testis. Semin Ultrasound CT MR. 2007 Aug;28(4):307-16. Christensen JD, Monu JU. Multimodality imaging in the diagnosis of deep vein thrombosis and popliteal pseudoaneurysm complicating a sessile osteochondroma. Pediatr Radiol. 2008 Aug;38(8):887-91. Christensen JD, Heyneman LE. Case of the season: aortoesophageal fistula complicating thoracic aortic aneurysm stent graft repair. Semin Roentgenol. 2009 Jan;44(1):4-7. Prescott-Focht JA, Martinez-Jimenez S, Hurwitz LM, Hoang JK, Christensen JD, Ghoshhajra BB, Abbara S. Ascending thoracic aorta: postoperative imaging evaluation. Radiographics. 2013 Jan-Feb;33(1):73-85.